Harmony Dental Frisco (Frisco) - Book Appointment Online! 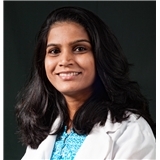 Dr Yaso Lakshmanakumarasamy (Dr. Lakshman) graduated from University of California, San Francisco, a leading university exclusively focused on Healthcare where she received Honors and awards. Dr Lakshman has been in the dental field for more than 12 years. Since she began practicing dentistry, Dr Lakshman has kept up to date on many continuing education courses, ensuring that her patients receive the most comprehensive and advanced care. Dr Lakshman aims to provide her patients with the means to maintain their dental health, for the purpose of guiding them toward improved overall well-being Dr Lakshman provides dental care for the entire family. She has a special interest on preventive dentistry and cosmetic dentistry. She enjoys working with children. She is the member of American Dental Association, Texas Dental Association and North Texas Dental Society. She is married and lives with her husband and a 6 year old daughter. I highly recommend Dr. Lakshmanakumarasamy. She is very nice, professional and honest doctor. Almost zero waiting time. Her stuff were so nice and helpful as well. I will come back for check up in 6 month for sure.